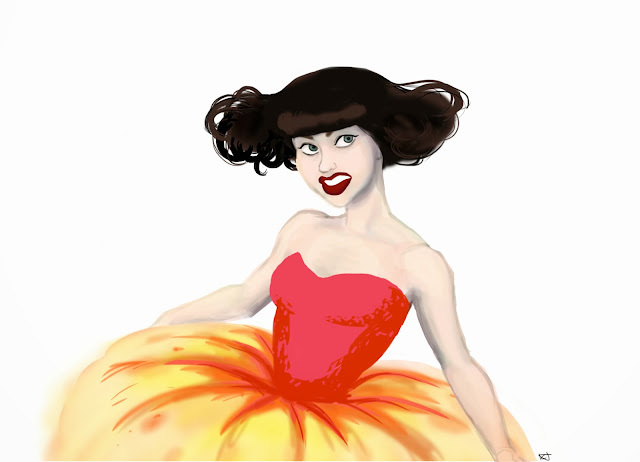 A rough digital painting of the musician Kimbra. Admittedly I do not do much digital painting/colouring; this began as a doodle but I thought turned out well enough. I am repeatedly captivated by her hair and clothing. It's so "Zam Bam WOW!" and cartoony, kind of like her music. That is the sound I will assign to her visual style. Zam-Bam-Wow.